With each passing year, more and more people are looking for ways to lead better lives that are healthy and more fulfilling. Home cooked meals are receiving favorable consideration as one of the best ways to keep healthy. In this regard, more people are cooking rather than eating out. Thus the kitchen is a vital part of a home. It takes precedence amongst the many amenities that a house can have especially for people who are health conscious. All this cooking requires the kitchen devices to work efficiently. This is especially the case when it comes to hood fans, which are the primary devices that are used to negate the accumulation of moisture, grease, order and heat emanating from cooking. With this in mind, if your hood fan isn’t performing as it should, you had better replace it. Moreover, if you are planning to renovate your kitchen, prudence dictates that you take concerted steps to install the best hood fan available on the market suited for your needs. #1. Your Cooking Habits And Needs. 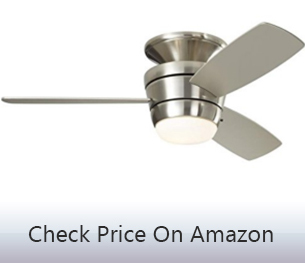 And if you just need replace a fan and motor, you can try the best affordable # 97012248 replacement range hood fan motor and fan to most hood fan use. Here are some of the golden tips that can guide you picking the most appropriate hood fan. Even before delving into the specific fan characteristics factors that determine the suitable fan for you, you should gauge your cooking needs. The purpose of making this as your first step is to ensure that you match your fan characterizes with your cooking habits. For instance, a household that engages in heavy cooking will require a fan with more power to draw out more air quickly. Conversely, for a household that does light cooking, a fan that is less powerful will suffice to clean the kitchen air and keep an aura of freshness. Additionally, for households that engage in both heavy cooking and light cooking on different occasions, a fan with a variety of fan speed setting is the most appropriate. It, therefore, pays to understand your needs first, even before understanding the choice of hoods fan systems available to you. Closely related to the element of consideration above is the CFM rating of hood fans. CFM is the rating that describes the performance of the hood fan. Therefore, hood fans that have a higher CFM rating are more powerful and will obviously draw out more air. In this regard, if you will be engaging in heavy cooking, a hood fan with a high number of CFM is paramount to ensure that everything works efficiently. It is important to note that the size of the range will influence the CFM rating the prospective hood fan you plan to install. A rule of thumb is to have 40 CFM for every foot in length of your range for an electric range. So, if you have 3-foot range installed, you should install a hood fan with at least 120 CFM. Furthermore, you should note that gas ranges require hood fans with more CFMs than electric ranges. Recirculating System. The air is drawn into a filter, purified and recirculated into the house again. External Ventilation System. This system vents the contaminated air outside through a series of dedicated ducts. Convertible System. A system that utilizes both of the above ventilation systems. Each of the ventilation systems present its own challenges. Whilst choosing a particular ventilation system, ensure that you can live with the challenges that the prospective system bears. Another factor that you should consider is the installation design, placement, and style. In this regard, you can choose an island (ceiling) mounting placement and style, wall mounted design, or even under cabinet mounting design. Although the placement of the range will influence the ideal design, the designs above are generally interchangeable and adaptable to any placement. Modern hoods fan come with a variety of different features. You should consider having a hood fan with features that you need. Some popular features include halogen lights or even night lights, self-cleaning feature, automatic shutoff, touch control units and many more features. 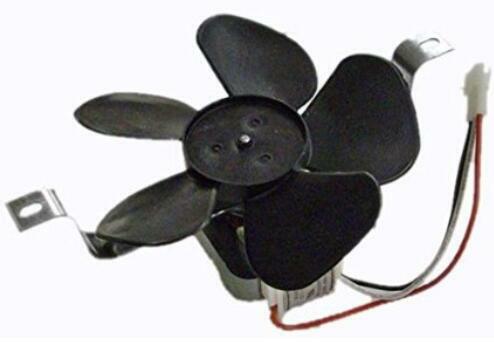 Looking at the hood fan market, you can not miss the Broan Fans. Broan is the industry leader of range hoods, ventilation fans, heater/fan/light combination units, Indoor Air Quality (IAQ) Fresh Air Systems, built-in heaters, whole-house fans, solar powered attic ventilators and trash compactors. Next model you will see is QS130ss get very beautiful modern look, more than 600 people give it highly reviewed. You can buy it less than $200. And the last one is PM390 insert hood fan, let 21-Inch Three Speed Power Pack transform your kitchen. © 2019 Bestratedceilingfans.com All Rights Reserved.